All That and a Bag of Potato Chips (As The Saying Goes. Does Not Actually Come with Potato Chips). 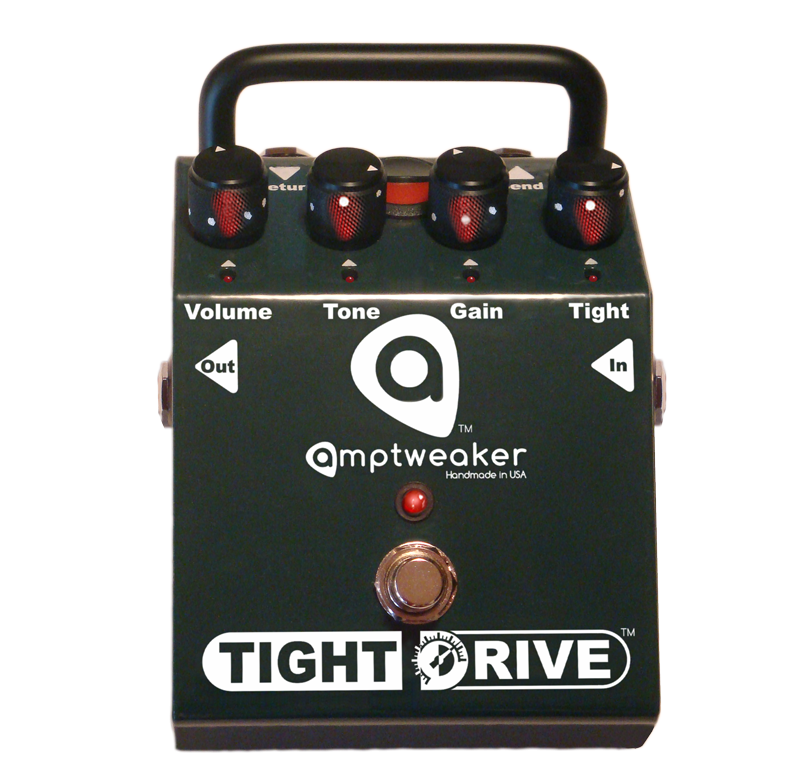 If you're searching for a highly tweakable drive with some exciting features under the hood, Amptweaker has got your back! The Tight Drive is the answer. Tight Drive features a highly usable and versatile distortion, ranging from slight, sparkling grit to high gain heaven. The spotlight here is on the Tight control which lasso's in your low-end for precise, high gain bass. Additional features include a magnetic battery door for easy access, LED-lit knobs, a battery on/off switch and an effects loop for other pedals that engages when the Tight Drive is on.